A sweet potato and coconut curry made using sweet potato, coconut chips, coconut milk, kale, ginger, garlic and chili. In this recipe I have used the SunRice Naturally Rice & Quinoa. I like using this blend because quinoa adds a boost of protein and the brown rice is rich in fibre. This curry is hearty, creamy, smooth and bursting with flavour! 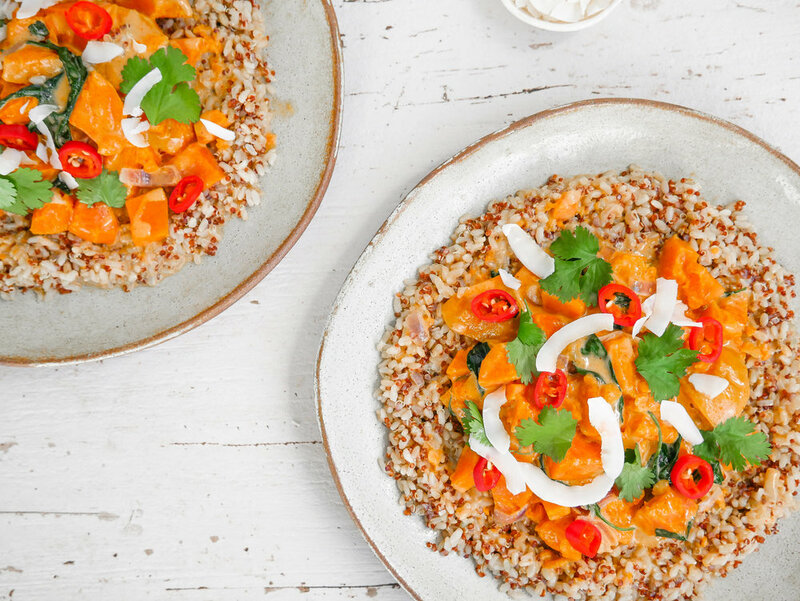 NB: In this recipe, I have used the SunRice Naturally Rice & Quinoa - I like using this blend because quinoa adds a boost of protein and the brown rice adds fibre into your diet. This blend is perfect for curries, salads, fritters or served alongside fish and a salad.